The enemy strikes, but for naught. With swift reflexes, you counterattack. You send the challenger reeling with the impact. You stand victorious and unscathed because you guarded your forearms with the Lion Leather Bracers. Two riveted leather segments construct each bracer. Rivets decorate the detailed edging, contributing to the medieval fantasy theme. 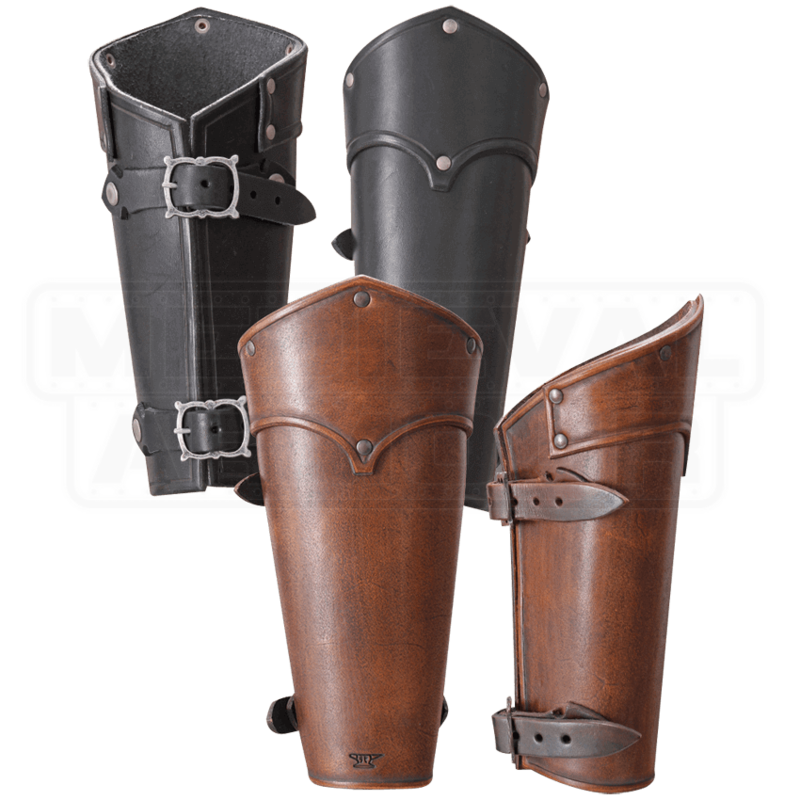 Two straps on the inner side of each bracer ensure a secure, yet comfortable fit. 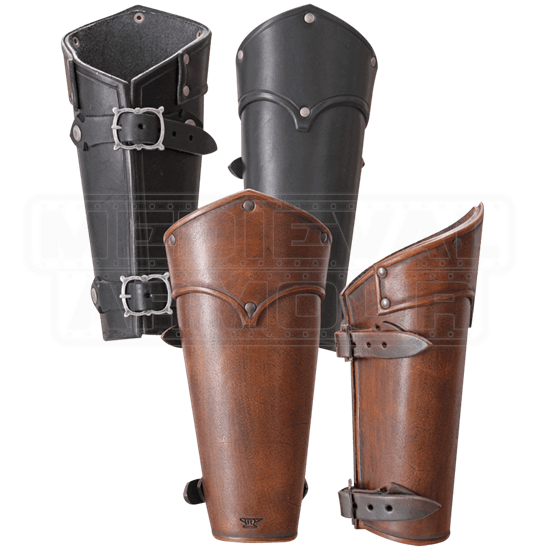 Be prepared for your next reenactment battle by equipping yourself with these trusted forearm guards.